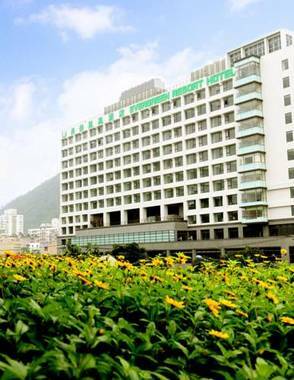 Evergreen Resort Hotel (Jiaosi) Chiao-hsi, Hotel Taiwan. Limited Time Offer! Evergreen Resort Hotel (Jiaosi). 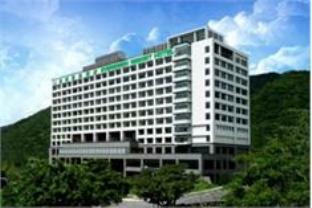 Hotel "Evergreen Resort Hotel (Jiaosi)" has acquired 4 stars. It is an excellent pied-a-terre from which to discover Chiao Hsi. This luxurious hotel features 231 rooms in total. The soundproof bedrooms are perfect to relax in. The room temperature is never unpleasant thanks to the air conditioning. Guests will appreciate the outdoor pool. The pool is adapted for children. Choose from any of the several sporting activities that the hotel offers, like yoga, pool, tennis or golf. Furthermore, this accommodation boasts a pool table and a gym where visitors have the opportunity to work out, as well as a bicycle rental service. After a long day, visitors have the option to relax in the spa. Cleanse yourself in the jacuzzi or the hamam. Guests also have the opportunity to sign in for a curing hydrotherapy. 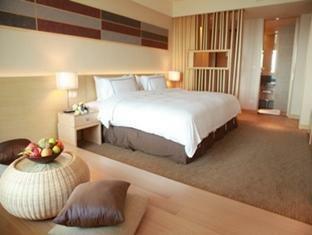 The hotel includes a restaurant that will serve you dinner and breakfast, which is included in the room's rate. A bar is available for visitors to enjoy a drink in company. For those who like to keep track of their business, there is Internet access available free of charge. Sun Sweet Hotel offers good Facilites for Business and Leisure Travelers with Spacious room, safety facilities. 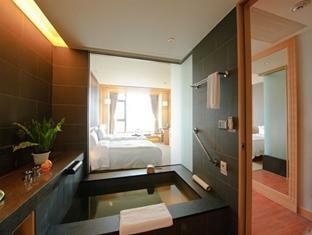 Guests can enjoy home spa in room for Hydro Therapy.